Corn Salsa: Mix together 3 cups fresh corn kernels, 3 cups chopped fresh tomatoes, ½ cup chopped cilantro, 1 seeded and chopped large jalapeno, 3 tablespoons lime juice and 3 tablespoons cider vinegar; salt and pepper to taste. Chill then serve. Mexican Corn on the Cob: Prepare grill for medium heat and lightly oil grill grate. Grill 4 ears of shucked corn for about 12 minutes or until tender and golden brown. Turn corn while grilling. Set corn on a serving platter. Spread 1 tablespoon olive oil mayonnaise onto each ear, and then lightly sprinkle with chili powder, Cotija cheese and chopped cilantro. Serve with lime wedges. 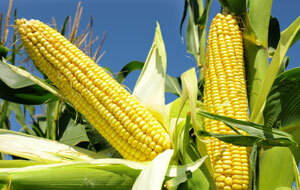 Sauteed Corn with Fresh Basil: Melt 1 tablespoon butter in a large nonstick skillet set over medium-high heat. Add 3 ½ cups fresh corn kernels and 1/3 cup chopped shallots; sauté for 2 minutes. Add 1 teaspoon minced garlic and cook for 1 minute more. Transfer corn to a serving bowl. Stir in ¼ cup chopped fresh basil. Season to taste.